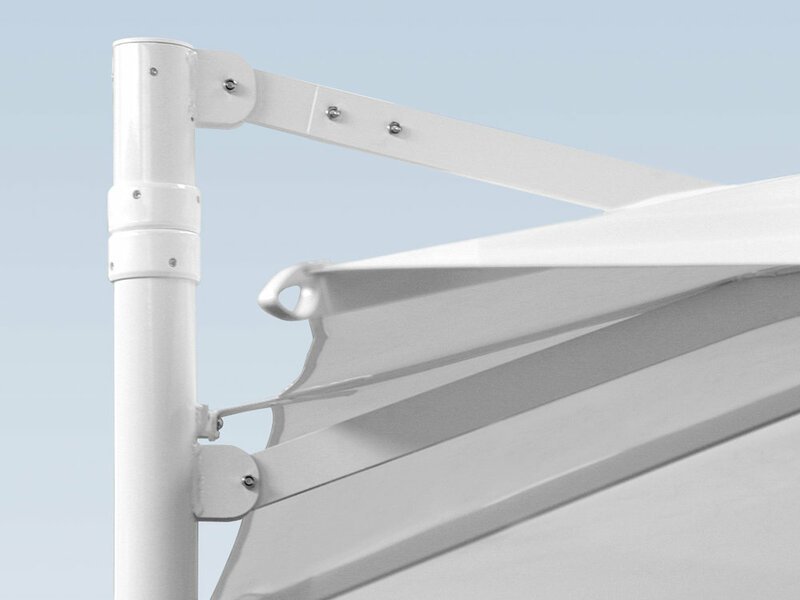 Our Type SAH is a cantilever umbrella and is made for the use in both hospitality and residential areas. It is a perfect fit for open spaces with pathways or to optimize seating arrangements, offering unrestricted space underneath the area of cover. 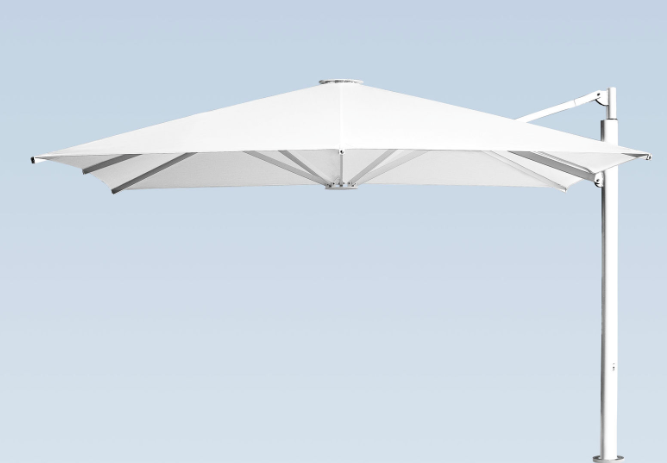 This umbrella is ideal for customers, who require an aesthetic and functional touch including wind stability. 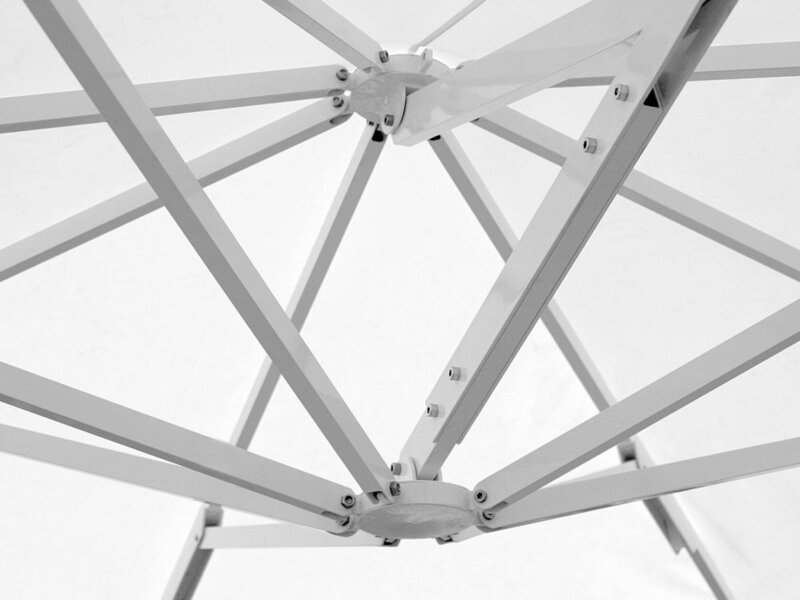 It is designed to withstand wind speeds of up to 40 km/h. 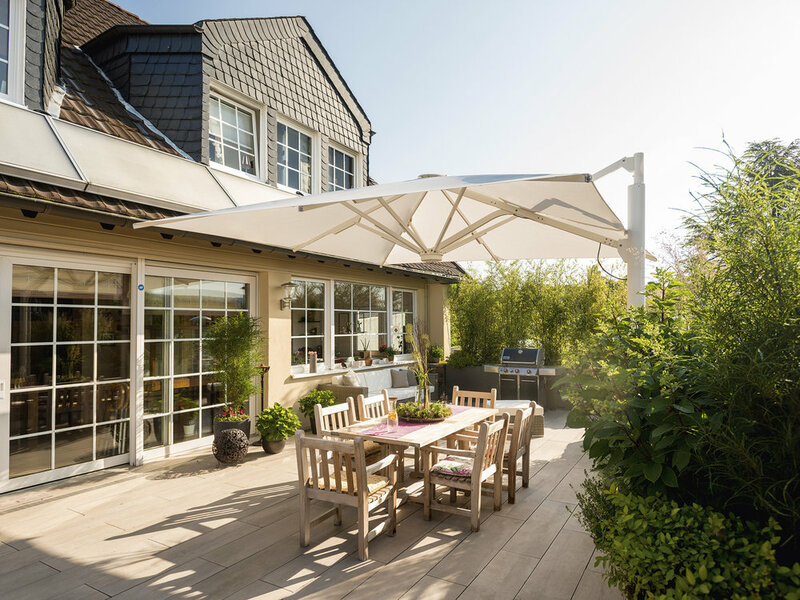 All of our used materials are high-quality and made to last, hence the umbrella is collapsible, ready to build down and ready to store for any weather conditions. 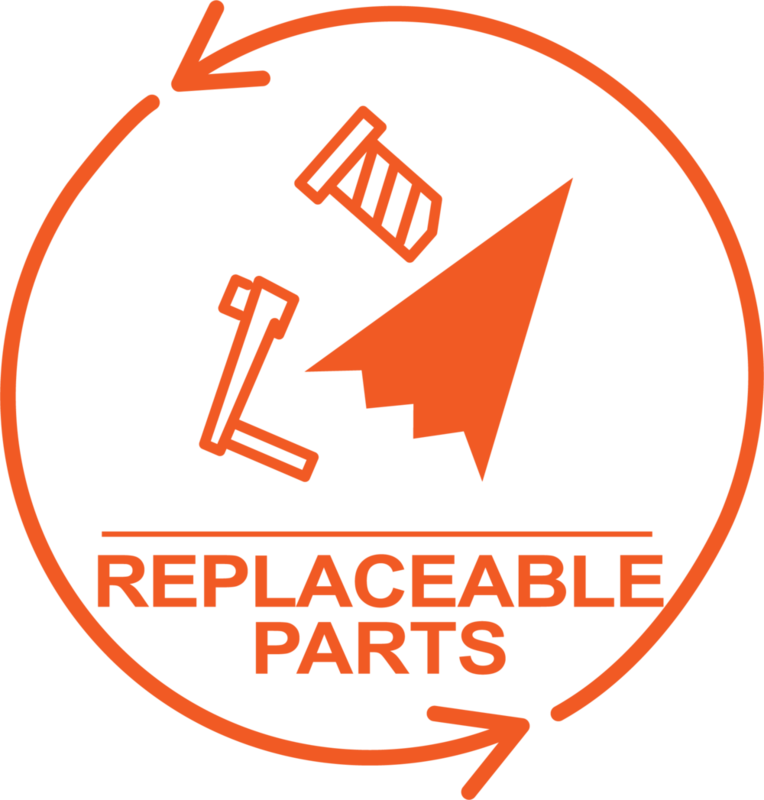 The maintenance is low and in the case of unexpected circumstances, parts can be replaced instead of having to buy a whole new product. 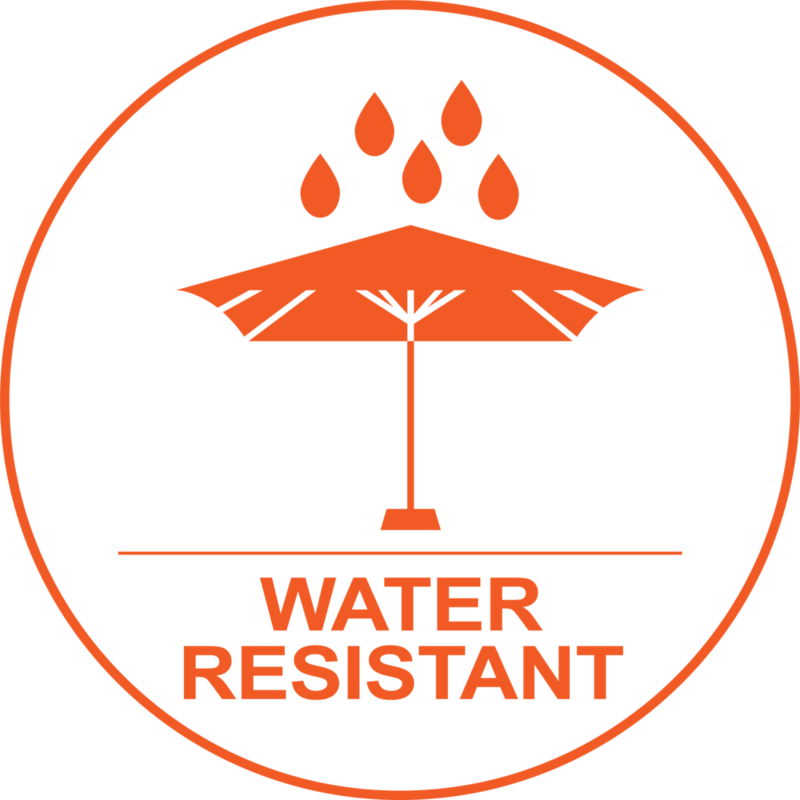 Being completely recyclable, MDT-tex products reduce their impact on the environment and also on your investments. 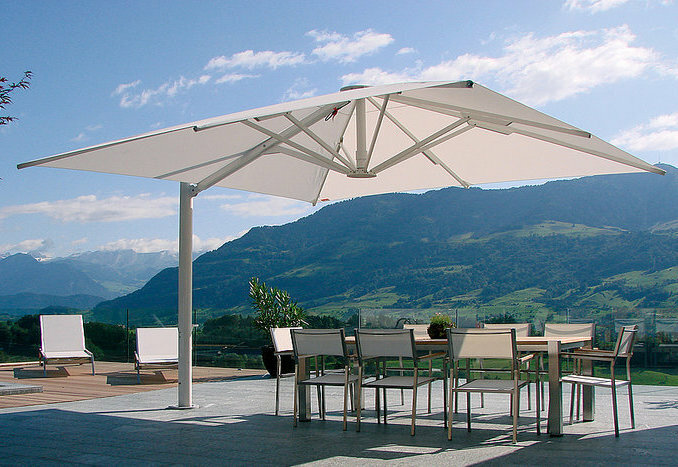 This umbrella can reflect and uplift your locations standards in a safe and easy way of use. A great way to create a warming ambience are the special integrated LED lights and heater accessories. 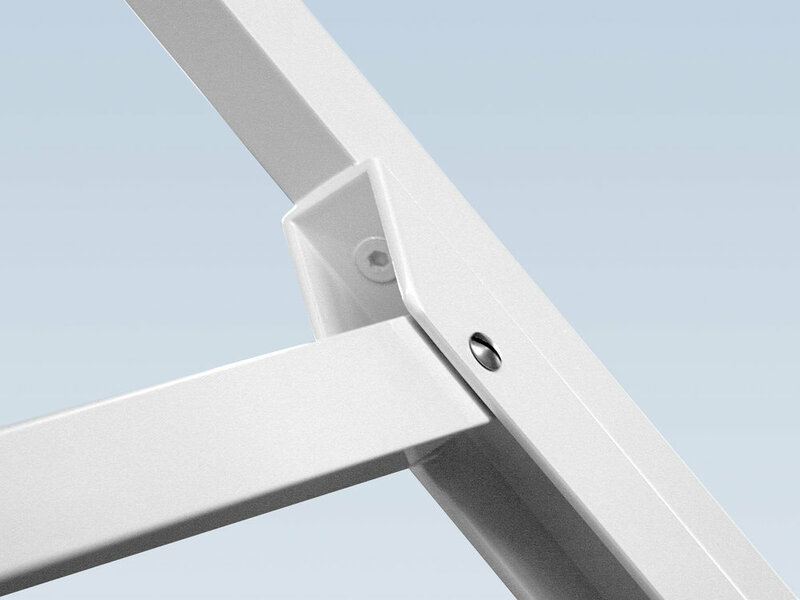 The SAH, or as we like to call it “The Side Arm Hero” enables the maximum space for residential or hospitality areas in a high quality and design standard. 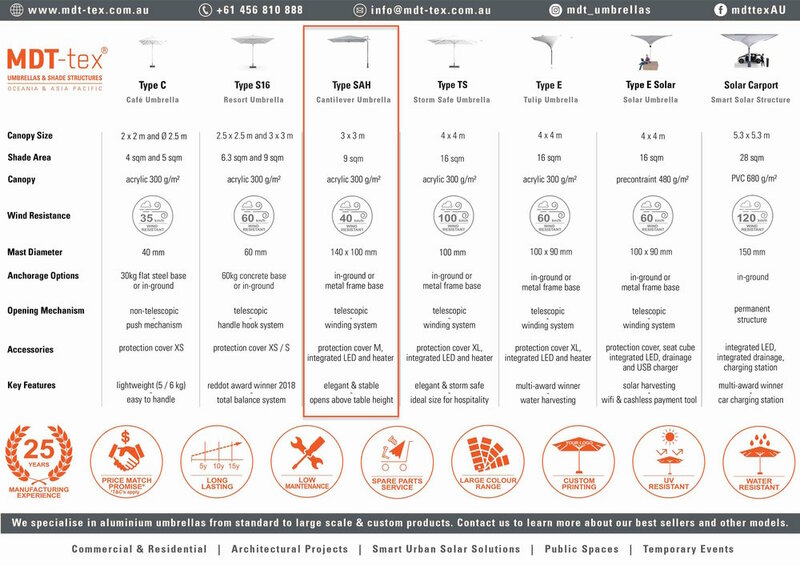 Find out how Type SAH compares to the rest of our standard range. For any questions, get in touch with us.